After months of speculation, rumours and leaks, HTC have just officially announced the successor to the 2013 Android phone of the year, the HTC One. 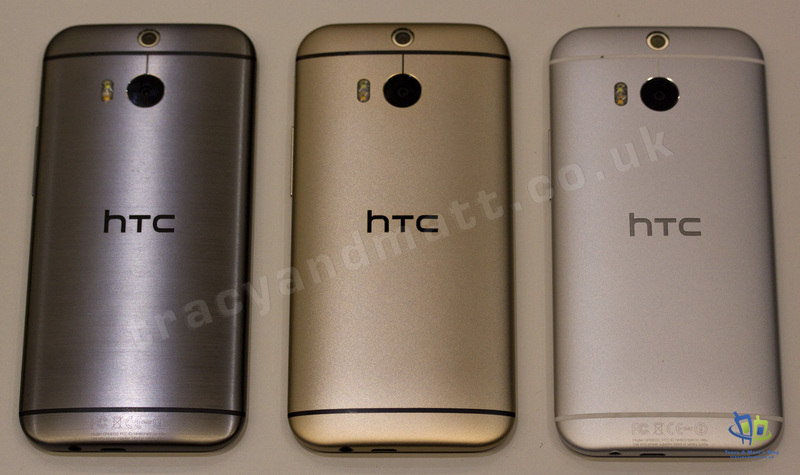 The official name for the new flagship phone is HTC One (M8), using the internal M8 codename to distinguish it from last year’s model which now becomes known as the HTC One (M7). 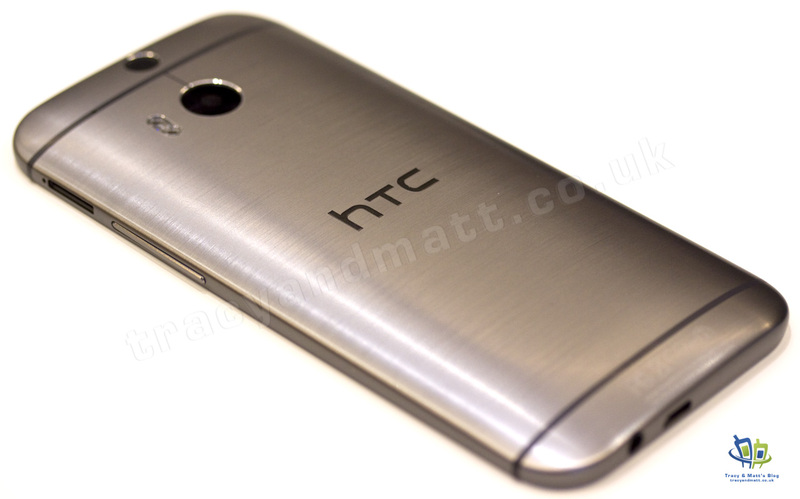 This puts the rumours of the ‘All new HTC One’ and ‘HTC Two’ names firmly to bed, thank goodness! True to form, HTC are cramming in a lot of innovation and new technology with the HTC One (M8) and it goes well beyond the dual rear cameras that seem to have become the focus of so much attention. 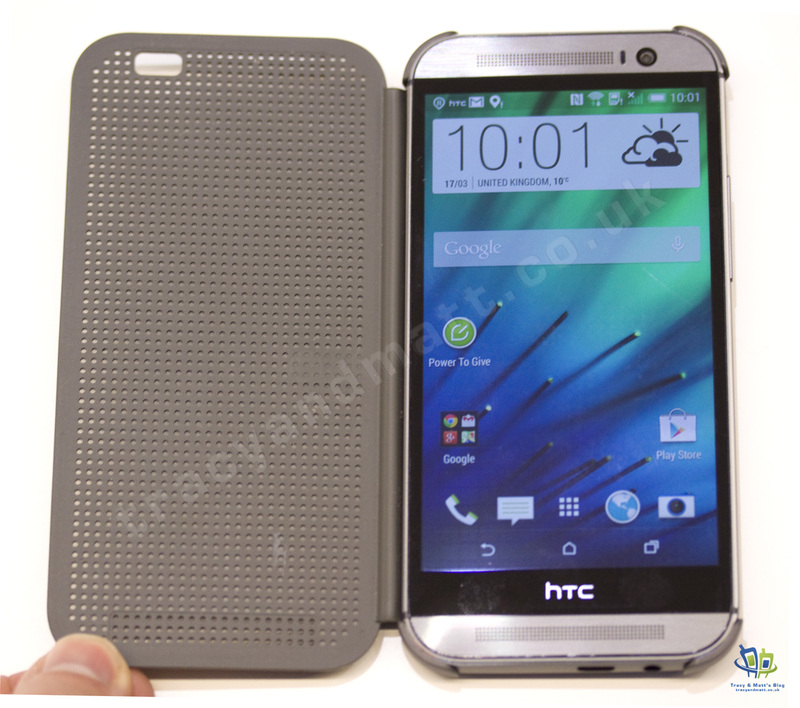 HTC’s focus has been firmly upon the design of the HTC One (M8) and this certainly shows. The aluminium body construction, that HTC say has taken them 12 years to perfect in terms of getting the antenna design right, now extends round the sides of the handset and right up to the edge of the 5-inch full-HD screen for a truly edgeless feel. 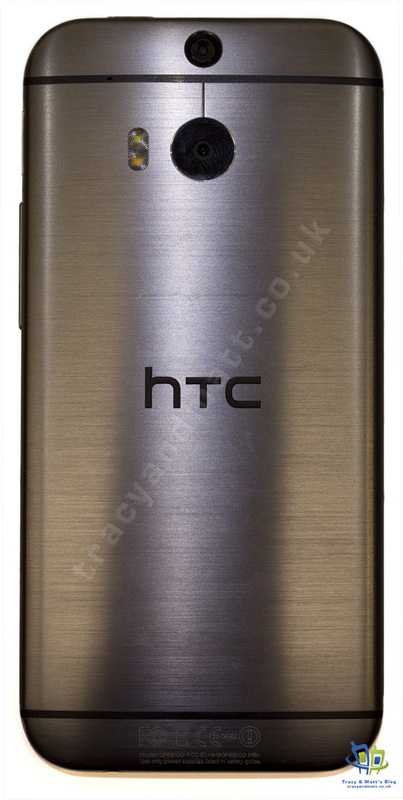 The Metal Grey version of the M8 has an honest metal finish with hairline striations one the back for that brushed metal finish that HTC say takes more than 120 polishing oils to get just right. If the metal look isn’t to your liking there will also be Arctic Silver and Amber Gold versions for you to choose instead. 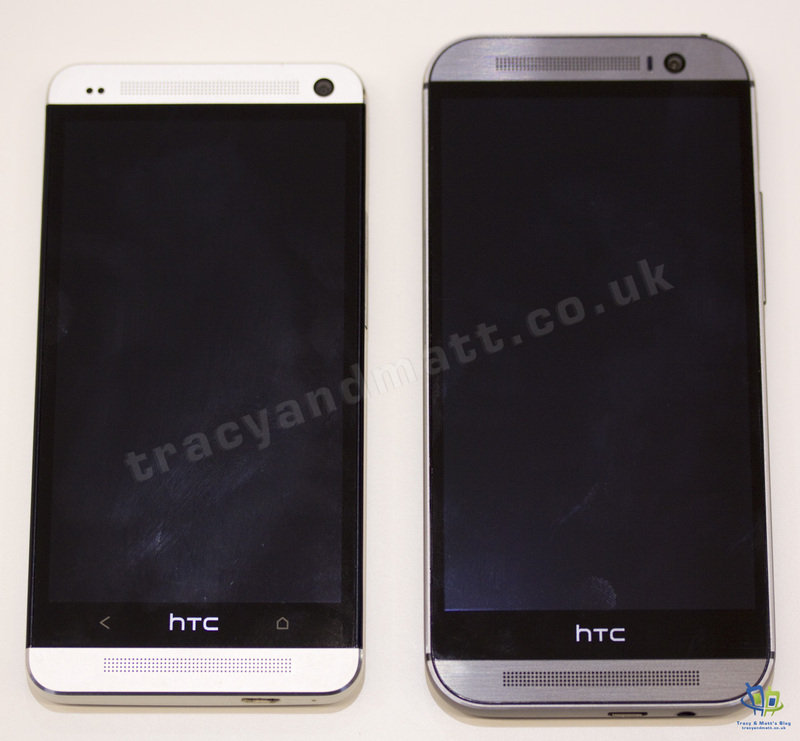 Despite the increase to a 5-inch full HD display, the use thinner bezels and the menu buttons now being on screen means that the physical size of the HTC One (M8) is dramatically different to the M7, at 146.36 x 70.6 x 9.35 mm, it’s just 9mm larger and 17g heavier. The screen has Gorilla Glass 3 to protect it and, like other models, has the LCD screen bonded to the back of it so there’s no air gap between the two. This leads to a huge improvement in the clarity of the display and almost insane viewing angles. 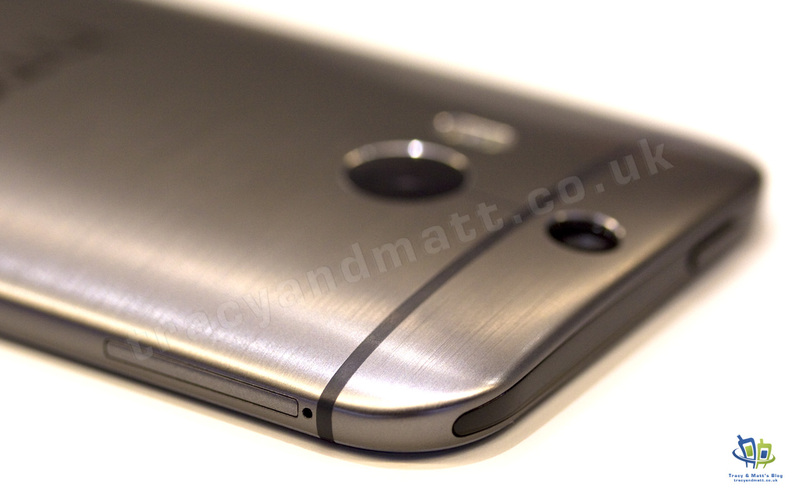 You can check out my HTC One (M8) first-look video too. 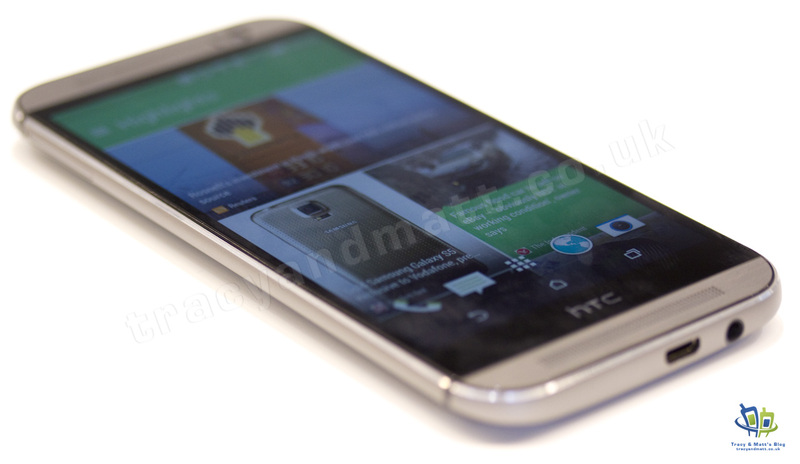 Motion Launch is a new feature HTC have added to the the M8 and has both software and hardware elements. On the hardware side, HTC have created their own silicon co-processor to take care of sensory input. These sensors are in an ‘always-on’ state and the extremely power-efficient co-processor is able to continously monitor that input. This enables the user to use gestsures to interact with the phone even when it’s in sleep mode. So, for example, a double tap on the screen will wake it up and turn on the display while a swipe from one of the four sides of the screen will wake up with one of four functions. Additionally, holding the M8 up in the landscape orientation and waking it up with the volume key launches straight in to the camera app and a second press of the volume key captures an image. 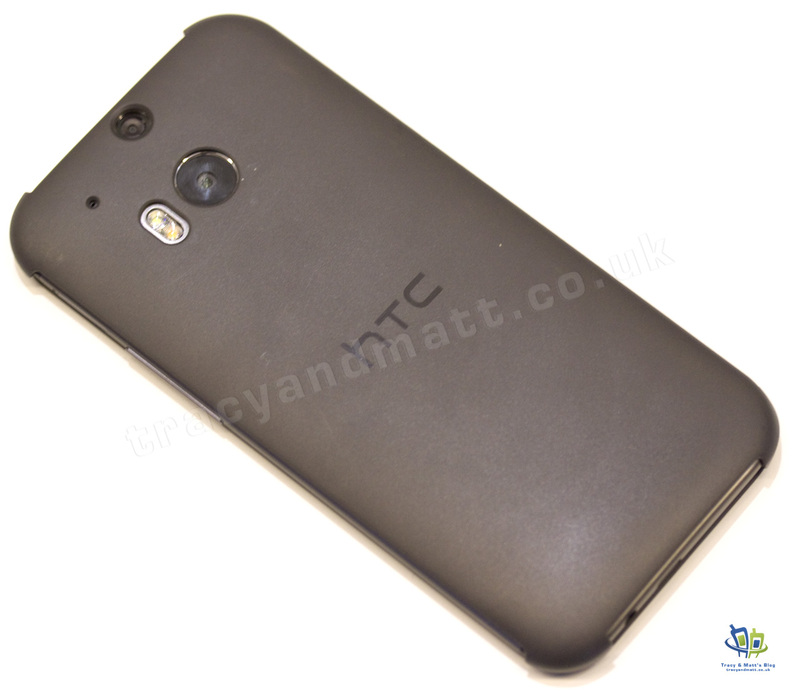 The cameras on the HTC One (M8) have attracted a LOT of attention over the past few weeks as leaked images started to surface that appeared to show two rear facing cameras. This lead to a lot of theories. 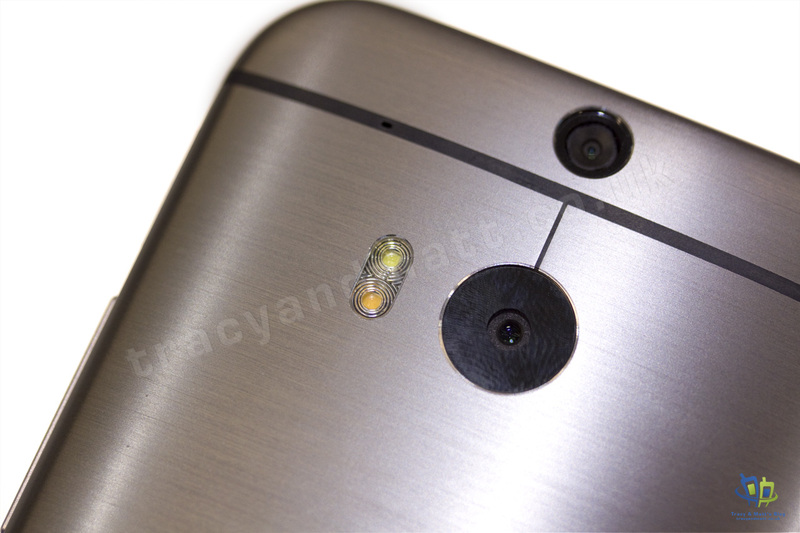 Was one ‘camera’ actually a fingerprint sensor? Could it take 3D photos? Would there be a 4MP ultrapixel camera and a 13/16MP ‘normal’ camera? Finally we have the answer, HTC call them Duo Camera. 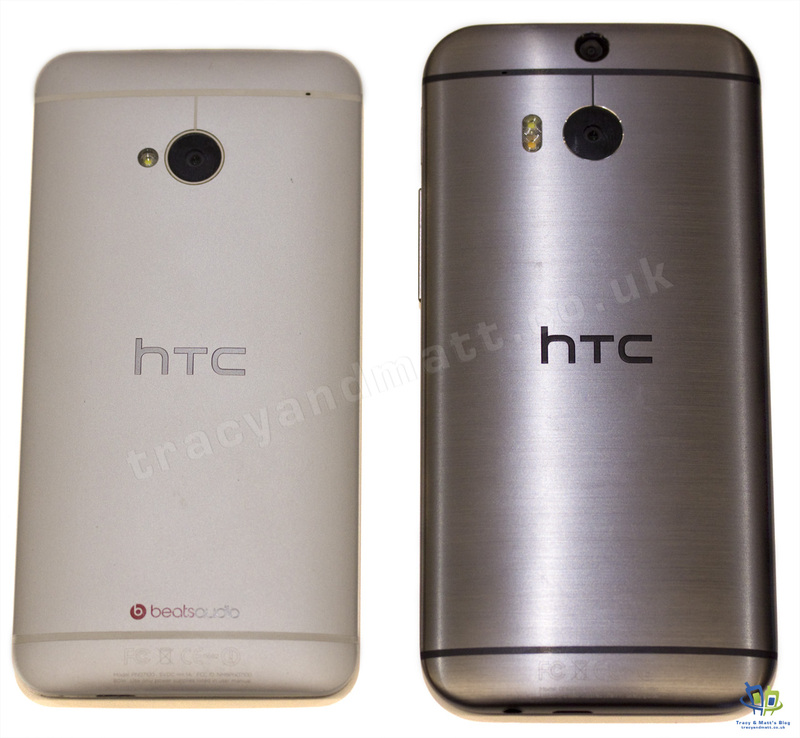 Two rear facing cameras, one being the same 4.1 Ultrapixel unit that we see on the other HTC one devices but the other is of undisclosed resolution. The second camera is there purely to capture depth and spacial information when a photo is taken. The second camera cannot be used in its own right and there’s no option to switch. The purpose of the Duo Camera feature is that every photo taken will have depth information recorded along with it. This them alows for some very cool after effects duting editing photos in the gallery. Photos can be re-forcused allowing you to focus on just one ‘layer’ of the photo. This might be a person in the foreground for a portrait picture with great bokeh or maybe you defocus the foreground objects to show of the scenery in a landscape to better effect. There are many more effects available including desaturating the background, turning backgrounds in to sketches or cartoons and many more. There’s also a very cool 3D paralax effect called Dimension Plus that alows you to mode the phone and see different perspective in the images. The depth information is recorded on every image and, unlike other cameras and phones that have attempted this, only one photo is taken rather than 5 or so at different focal lengths. Images are captured really quickly. Some of the features we’ve previously seen in Zoe will be available in an HTC Zoe application that will be available from the Google Play Store later this year. This will allow users of older HTC phones and even non-htc phones to use some of the Zoe features or to collaborate with friends to create some awesome Zoe moments. We probably shouldn’t forget that front facing camera though. 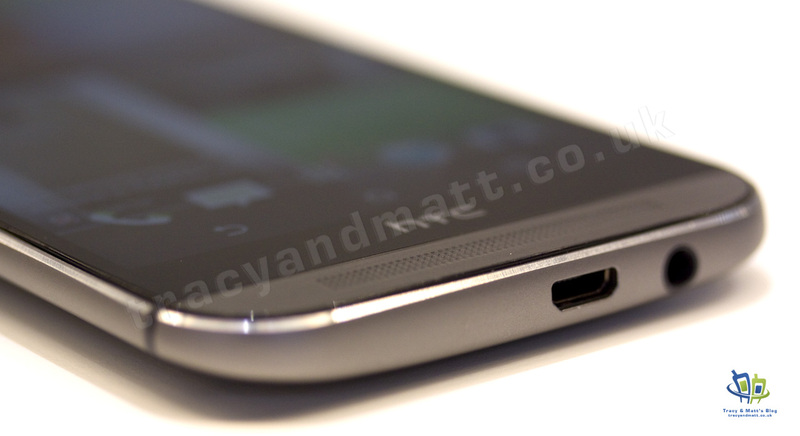 HTC have included a 5.0MP f2.0 front facing camera on the HTC One (M8) and it’s probably the best front-facing camera we’ve ever come across. Not only is it a very fast lens and sensor but it’s also wide-angle which is great for the ubiquitous ‘selfie’. Both cameras benefit from Qualcomms Digital Image Processor which greatly improves and enhances the captured images without ruining them! 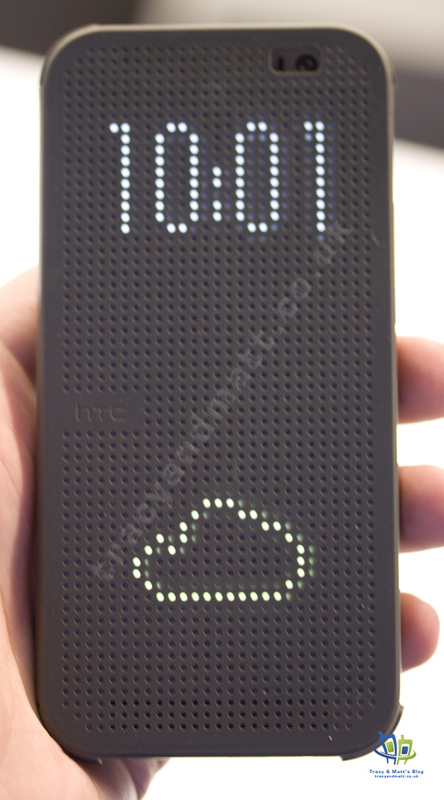 Sometimes the best ideas are the simplest and when you see the HTC’s Dot View cases for the HTC One (M8) for the first time there’s definitely a “why didn’t anyone think of this before?” moment. 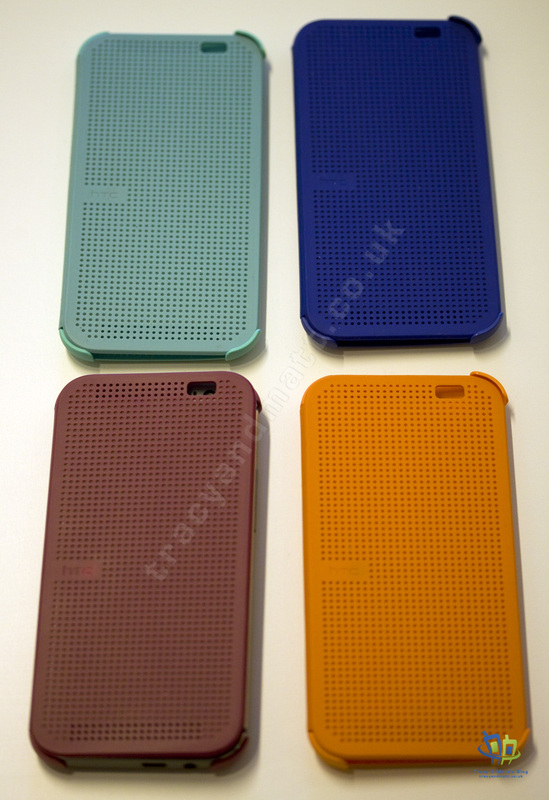 HTC are lauching a range of accessories at the same time as the HTC One (M8) goes on sale and one of these accessories is the Dot View case. 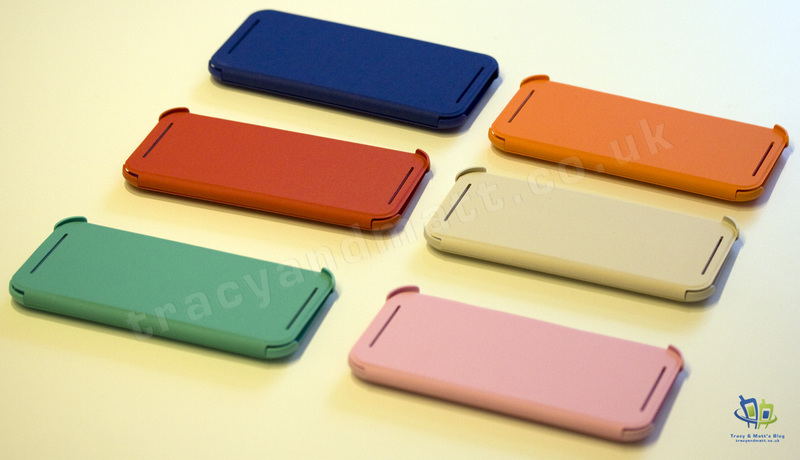 Not only doe the Dot View case protect both the back and the front of the M8, it also has magnets to turn on and off the display as the cover is opened. BUT, where the Dot View case is truly unique is in the front cover, there are thousands of tiny holes. 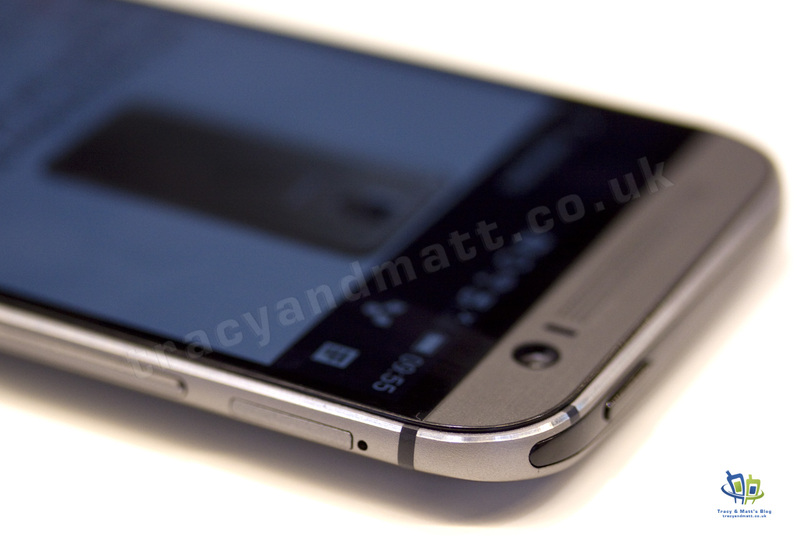 These holes allow light through from the HTC One (M8) display and allow you to see just just enough in terms of notifications and alerts. Boomsound was a feature that HTC introduced with the first HTC One and it really was groundbreaking in terms of the impact. Two large, forward-facing stereo speakers coupled with a large audio amplifier made a dramatic difference. Not only were the speakers loud but the dynamic range was also amazing, the speakers sounding much larger than their physical size would otherwise suggest. 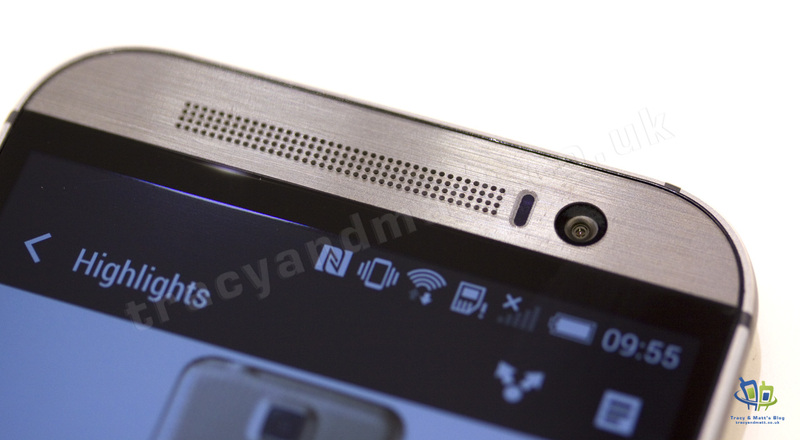 HTC have made enhancements to the Boomsound experience with the HTC One (M8). The accounstic chambers have been redesigned and there’s a new amplifier which has better control over the sound. The result is a 25% increase in the volume level and also a marked improvement in the audio range. 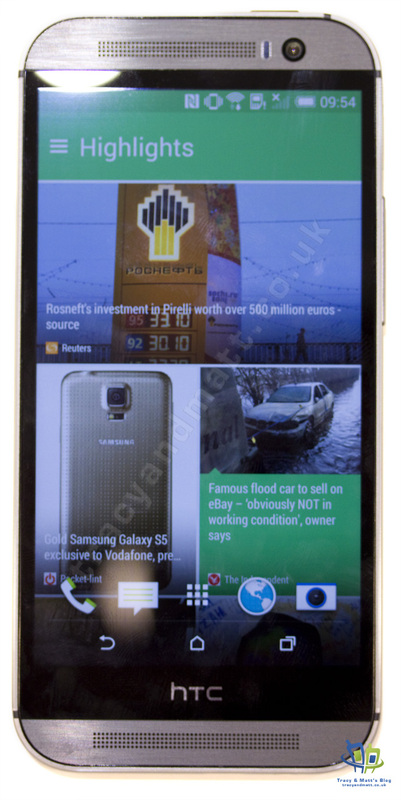 With the HTC One (M8) comes the new version of HTC Sense. There are lost of changes here so we’re going to be covering this in a video shortly.